Like many entrepreneurs, even when I do take time away from the business, I am still thinking about my business. 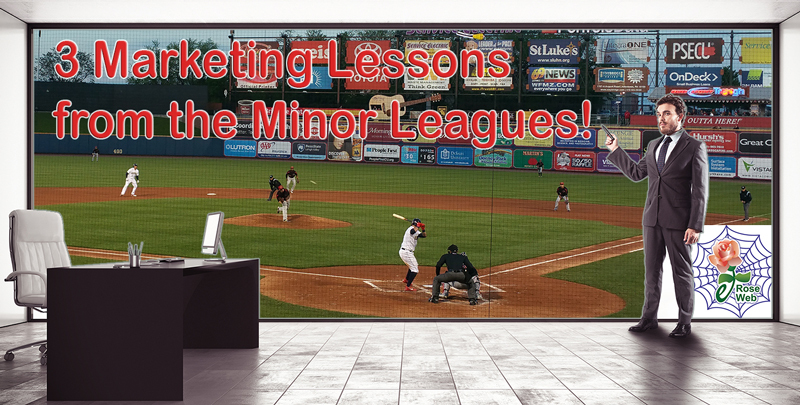 I recently went to a baseball game at a local Minor League ballpark that sparked some ideas on marketing that I want to share, hopefully it can inspire you with some ideas for making your business bloom. When marketing or advertising your business you want to find a way to have prospects relate and really connect to your message or product. The game I went to recently featured a rehab appearance of a starting pitcher for the Phillies who was getting tuned up to rejoin the major league team. 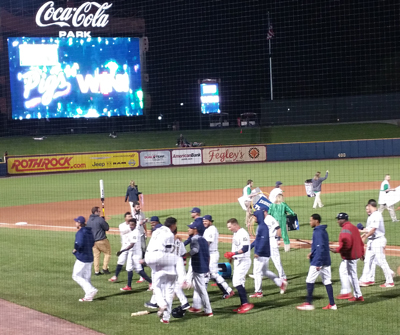 Cleverly, the team (Lehigh Valley Iron Pigs) had worked in an advertisement when announcing the starting pitchers for the game for a local Physical Therapy company. This is a great way to tie together the sponsor and the event, since often rehab appearances of a major league player can spark higher attendance, even if they don’t get your ad shown at every game at least it gives them good value and a solid connection. People like to relate to athletes and celebrities so when they need some physical therapy they are likely to make this connection and at least contact that local company. A little later I was at the concession stand (getting more bacon to clog my arteries…more on that later) and heard … ‘this foul ball brought to you by’ and I was thinking they are just desperate to sell any advertising spot possible. I didn’t feel this was something that would really connect with people, but the sponsor was getting their name mentioned at least and combined with an ad they had on the outfield wall it could build their branding and they might reach some people looking for their services, especially if they were currently in the market for them. It was not memorable except for the fact that it seemed over the top, quite a stretch, however you want to put it. While watching the game there was an exciting play where the home team threw out a player trying to steal second base. Then comes a promotion…”this caught stealing brought to you by”…in my mind I was thinking this team is just selling ads to everyone and throwing them in at the most inappropriate times; until I heard the sponsor was a Bail Bond company. That combination of the logical connection in a surprising way created a memorable promotion. By the way that is the ad that specifically inspired this article, the use of humor and surprise can really create a memorable ad or promotion especially when it all connects together. Making your ad or promotion memorable is critically important to success. However there is a balance and an art to marketing or advertising your business to make it memorable and also keeping it connected to your business. You probably remember a lot of funny or clever commercials where you can’t recall what company or product it was promoting. Another great example of involvement and overall solid marketing concept is with the Minor League team itself. 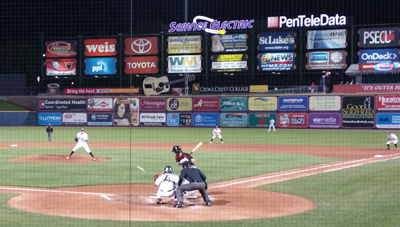 The team name is the Lehigh Valley Iron Pigs and to capitalize on that their concession stands offer a wide variety of pork products with bacon, bacon wrapped hot dogs, bacon toppings, bacon flavored cotton candy, pulled pork sandwiches, etc. Even if you don’t care that much for baseball, bacon lovers are drawn in for a night of pork debauchery. Don’t forget the gift shop for a bacon hat or shirt, advertising your love of bacon (and promoting the Iron Pigs). 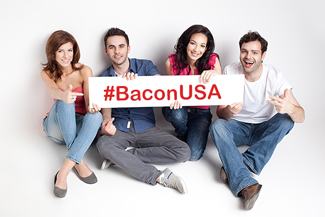 In the same vein they also promote the hashtag #baconUSA throughout the game and show selected posts of fans that use that hashtag during the game on the big screen. This is a great way to use social media to get people to share to their networks, appeal to their ego to encourage them to promote your business. I am there are many on social media that were looking for bacon and now they know about a minor league park where they can eat bacon until their hearts are content, or until their arteries are clogged, whichever comes first. If you do live in a community with a minor league team (in any sport) and you want to connect to your community, explore the marketing or advertising option to find the right fit for you, don’t just let them through you in as one of the “foul ball” sponsors (unless you are selling chicken products and want to be a ‘fowl ball’ sponsor. Work with them to get the right promotion for your business that can connect, be memorable and involve the target audience you want to reach!